the Fatman will rush the book to you! If you live in Australia and you purchase your book through 'paypal' you will save money on postage and receive a free gift. I'm not saying what it is, but it could be a magical lock of the fatman's beard? It could be an invite to a curry? Whatever it is, it will be sent with love... doesn't that make you feel special! Having to live outside of Australia is almost unbearable. 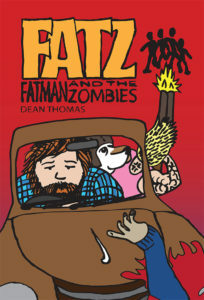 For one you miss out on a special gift from the Fatman when you purchase FATz! But… on the plus side you get fast delivery and choice of places to purchase FATz. Regardless of where you live Kindle is available to all. It is also very cheap. But if you want to really get a deal purchase the print version from Amazon and you can get the kindle version for free!